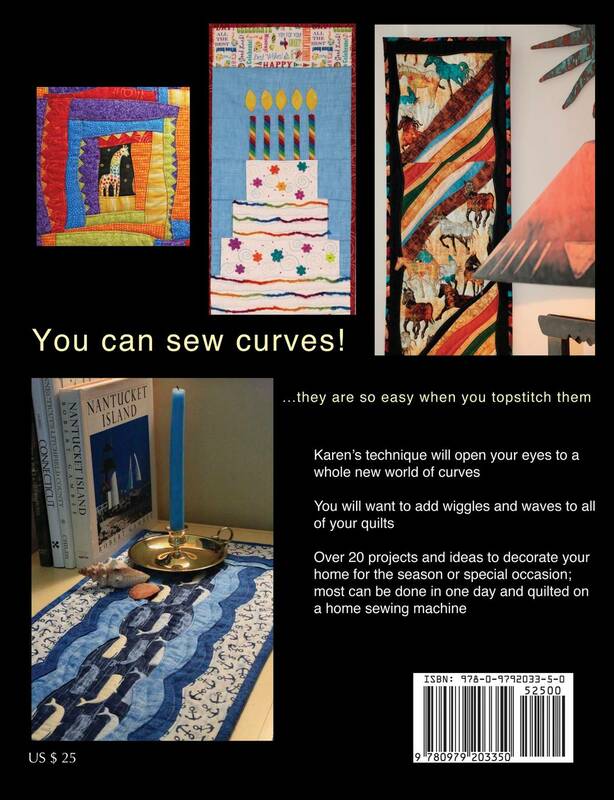 In this 96-page book by Karen Eckmeier of Quilted Lizard, you'll see how curves are easy to sew when you top stitch them. Includes over 20 great projects for table runners, small wall-hangings and quilts to celebrate the joys of life. Curves are easy to sew when you top stitch them. Over 20 great projects for table runners, small wall-hangings and quilts to celebrate the joys of life. Karen's technique will open your eyes to a whole new world of curves. 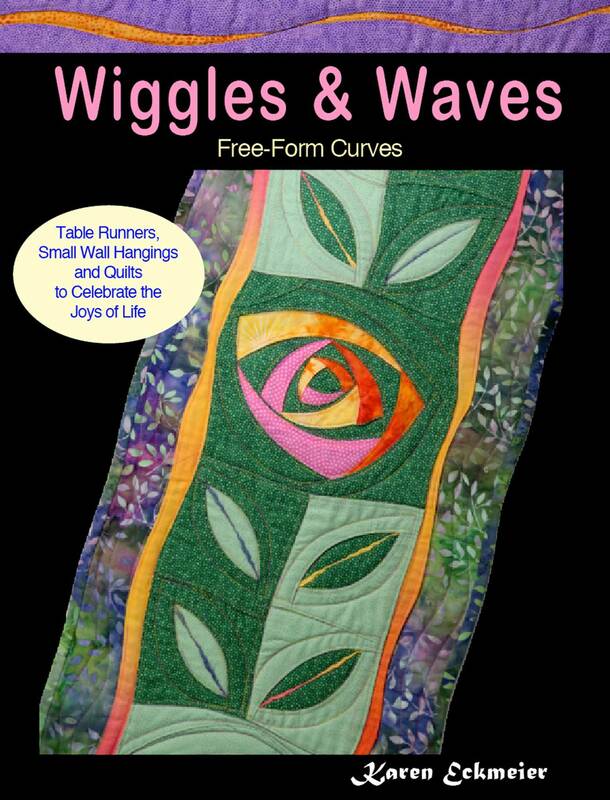 You will want to add wiggles and waves to all of your quilts. Most of the projects can be done in one day and quilted on a home sewing machine.